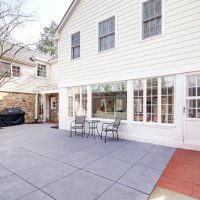 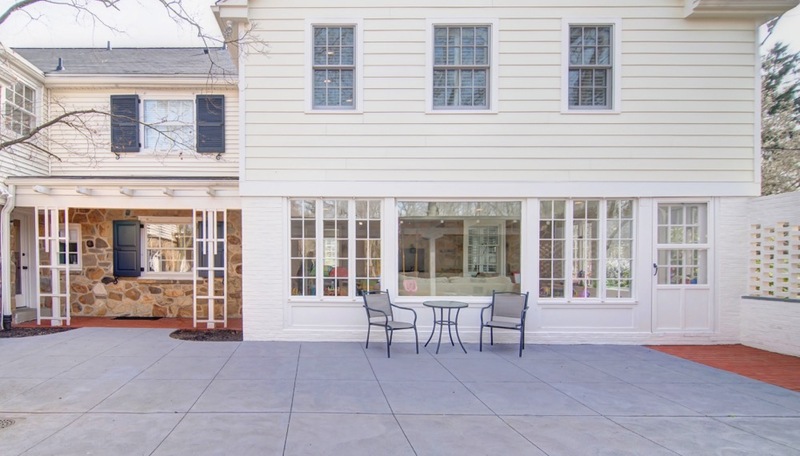 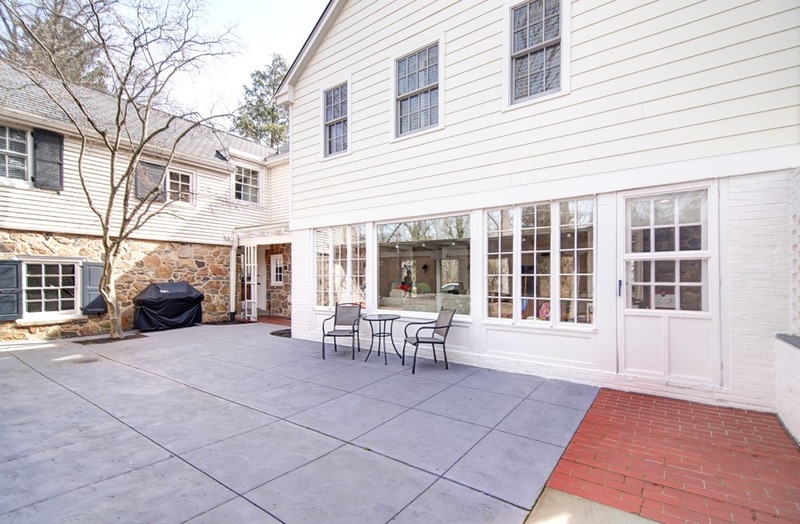 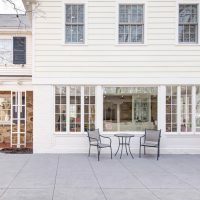 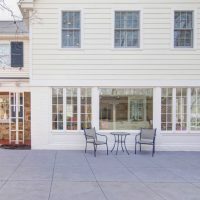 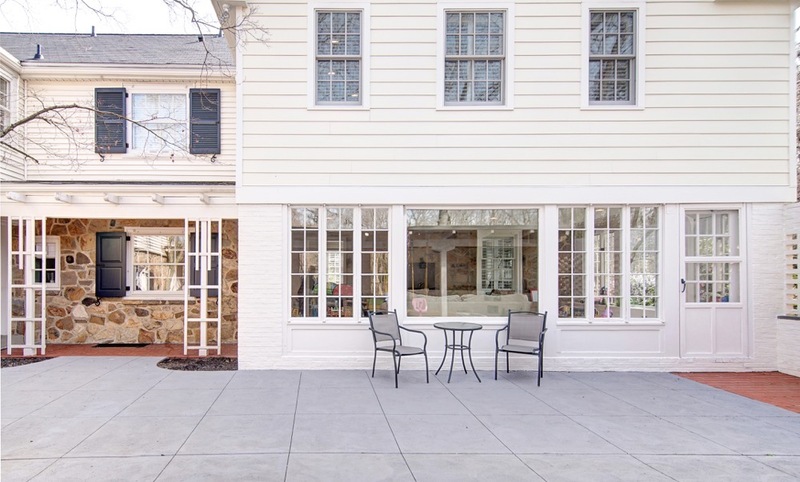 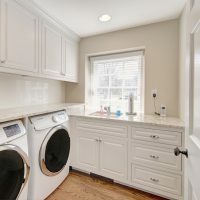 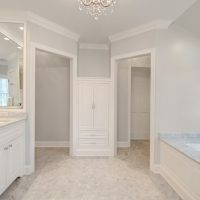 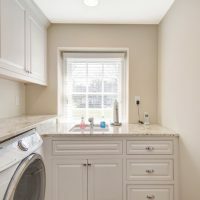 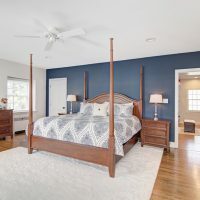 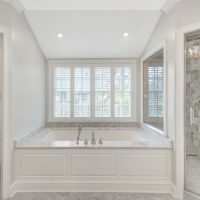 Master Bath Addition: This master bath is an addition on a magnificent stone colonial home in Westover Hills, Wilmington, Delaware. 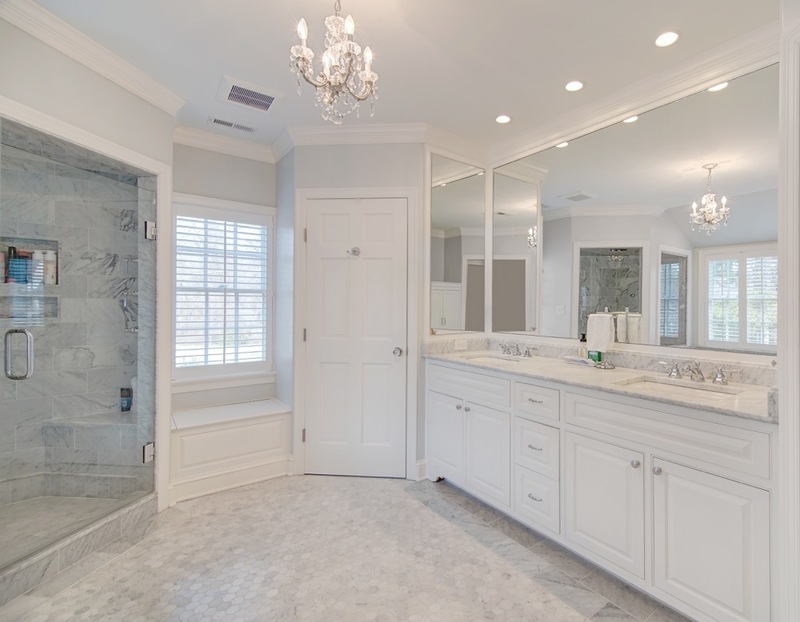 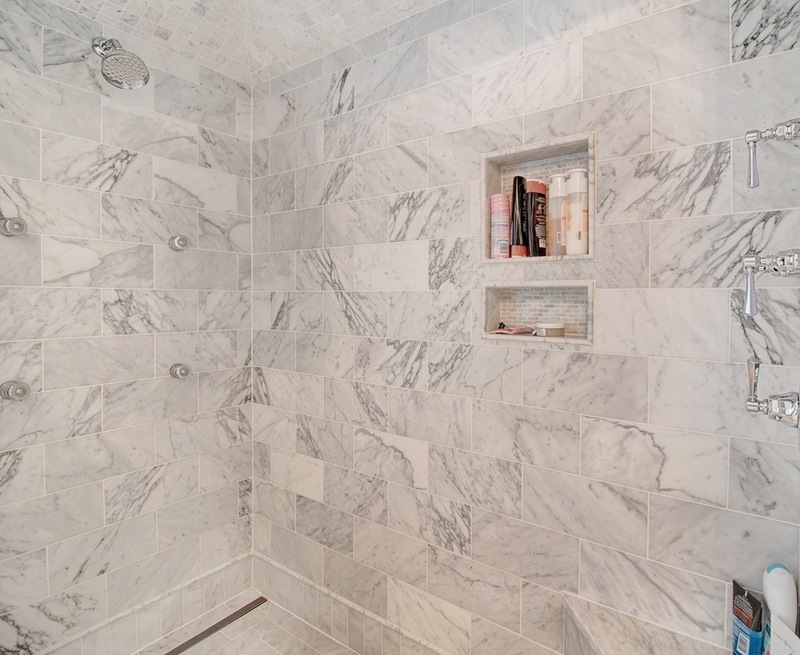 This classic bathroom features honed Carrara marble slabs and tile placed in a custom pattern. 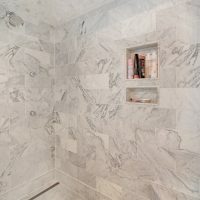 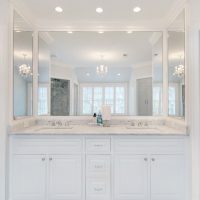 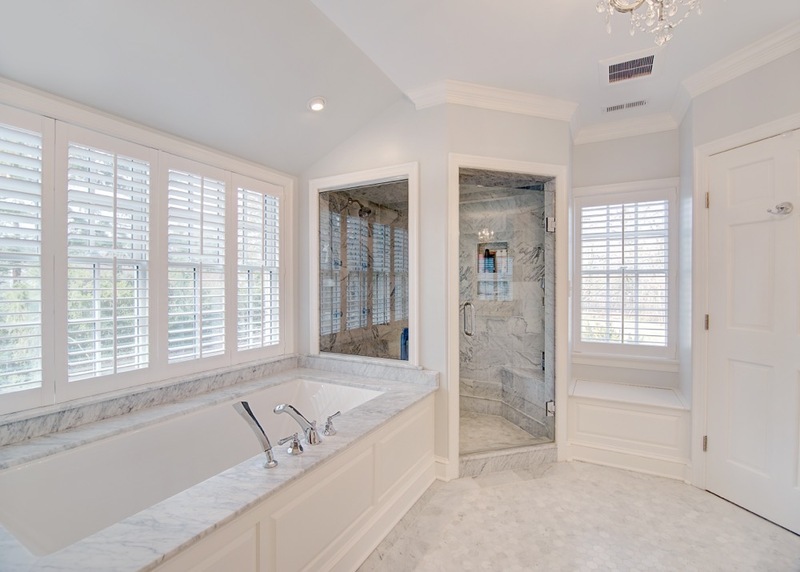 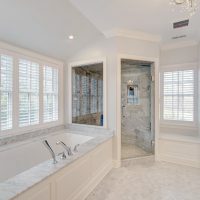 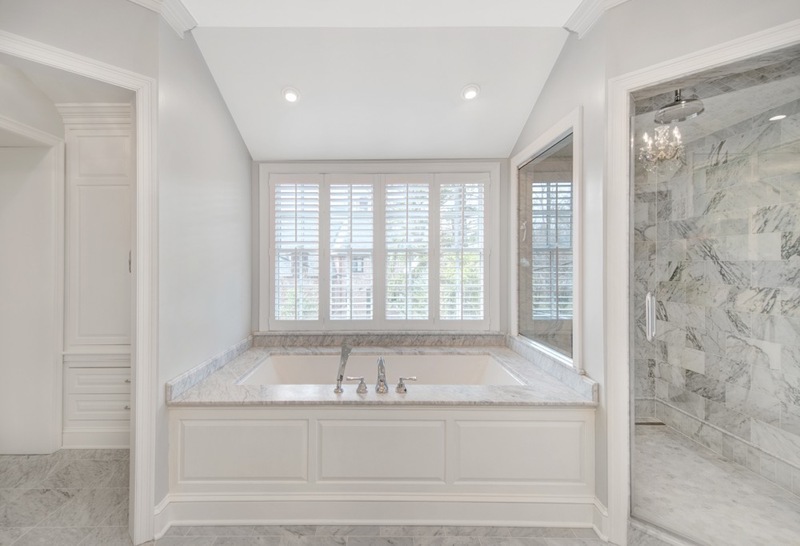 The bathing area includes an impressive drop-in soaking tub by Kohler, “Tea for Two”, with coordinating Carrara marble surround, Pella Architectural Series windows and milled marble trim. 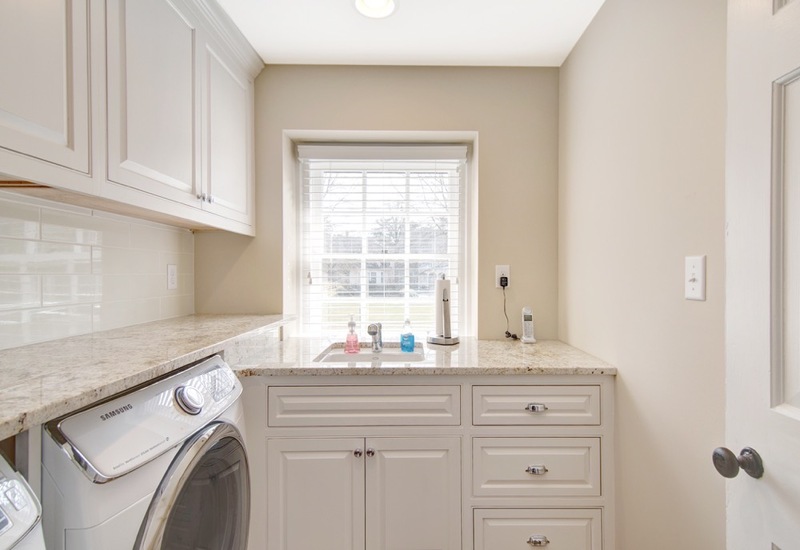 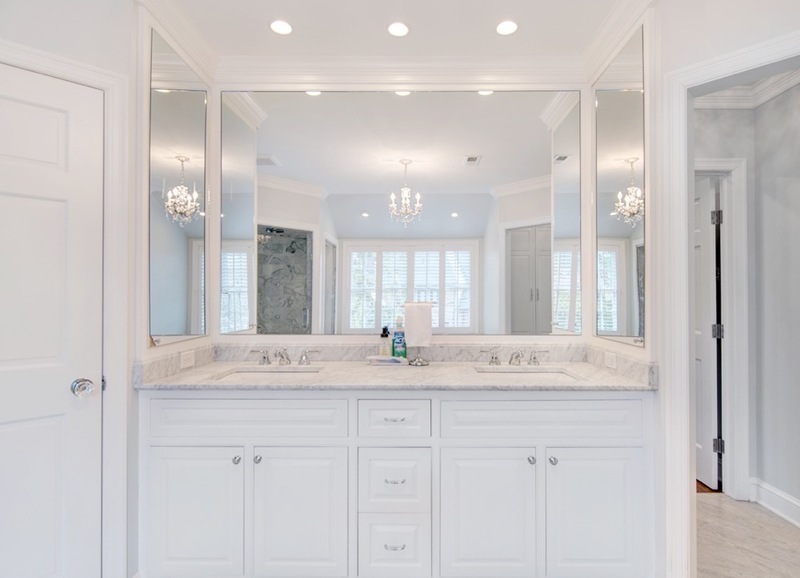 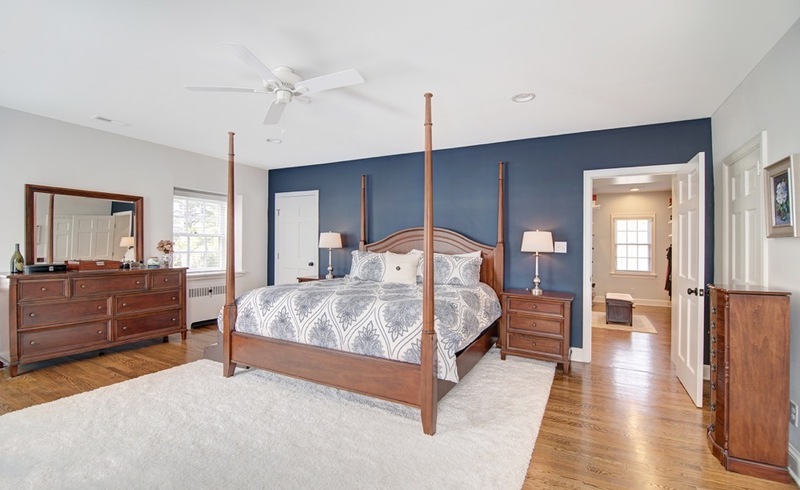 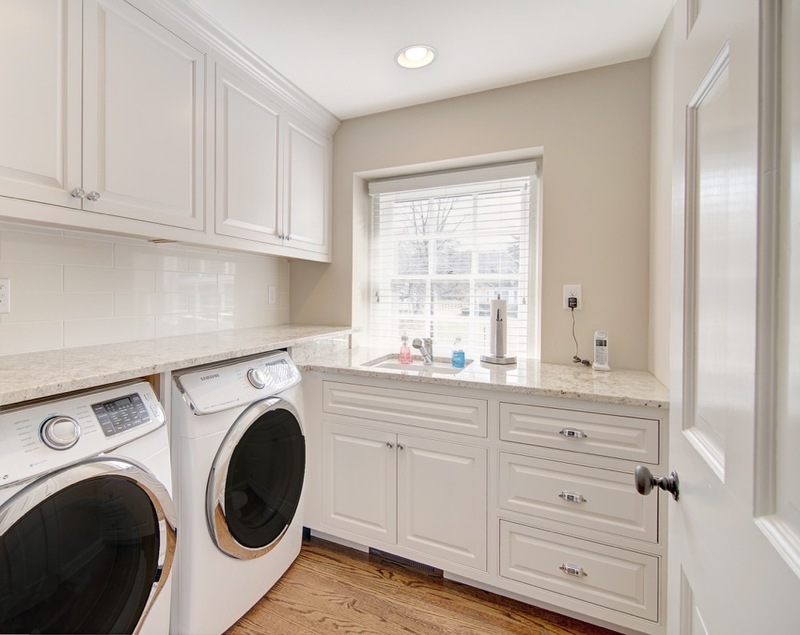 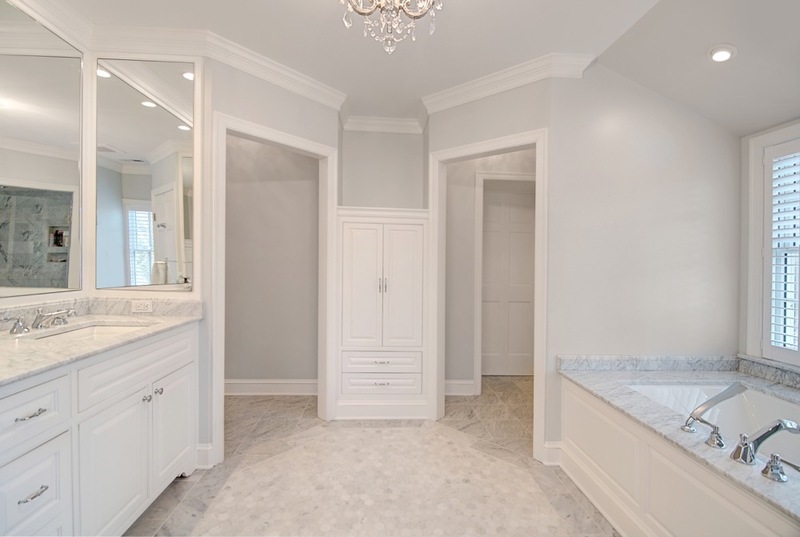 This master bath has ample storage provided by elegant built-ins and a large double vanity.